In late June, Jessica Wilson, Ph.D., assistant professor of civil and environmental engineering, traveled with 10 other faculty members from across the country to Ghana as part of the Ghana Faculty Enrichment Program, sponsored by Catholic Relief Services (CRS). The program equips those faculty to integrate the work of CRS into the classroom and on campus. During the trip, Wilson visited different parts of the West African country, observed their water systems, and met with community leaders and partners from Ghana’s University for Development Studies to forge a relationship and kick-start a plan to support the integrated human development goals of CRS. 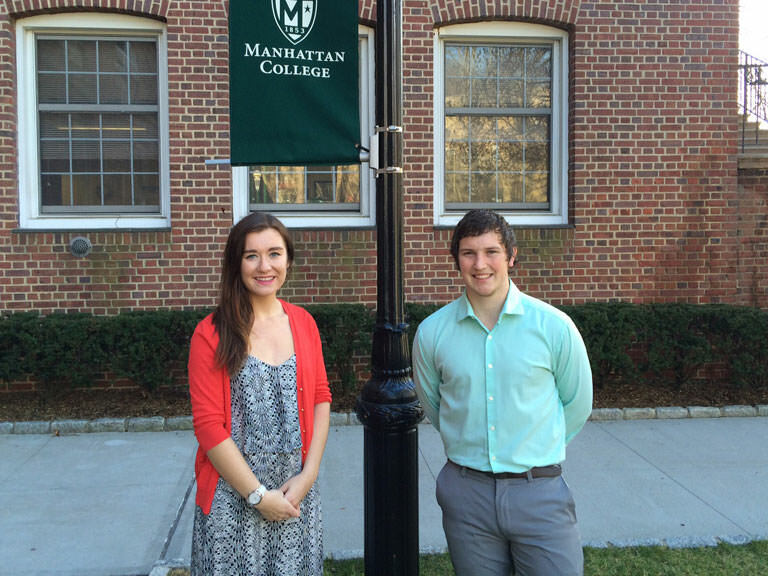 After Wilson returned to New York, she enlisted the help of three graduate students in environmental engineering – Anthony Colasurdo, Kyle Kennedy and Katharine Pulido. All three graduated from the College’s School of Engineering in 2015 and are working toward their master’s degrees at Manhattan with an expected graduation date of May 2017. For a special topics course, the students are experimenting with and researching three topics: the removal of arsenic and fluoride from Ghana’s drinking water, residents’ different options for sources of water, and sustainable options for sanitation. Within the confines of the labs in the Leo Hall, the trio has studied Ghana’s filtration and treatment systems to determine the most efficient, sustainable way to remove contaminants like arsenic and fluoride from the country’s supply of drinking water. One way is to filter water through different types of filter media; activated carbon is one solution for filtering water, so that it is free of arsenic and fluoride. Kennedy is studying Ghana’s filtration and sanitation systems to determine how to produce clean water without any negative side effects. During two Lasallian Outreach Volunteer Experience (L.O.V.E.) service trips to Haiti and as a member of JustPeace, an on-campus social action group focused on working against injustices around the world, Kennedy saw firsthand how clean water benefitted Haiti’s community. Sustainability is critical to the project in Ghana, where increased flooding and droughts have affected the country’s water supply. “Ghana is seeing increasing temperatures, declining and variable rainfall totals, rising sea levels and more extreme weather patterns,” according to a recent CRS article. The CRS trip to Ghana was a part of the organization’s increased strategy to build awareness about issues of clean water and sustainable sanitation, and highlight how climate change is affecting those areas. According to Vanessa Tobin, the top water expert at CRS, 1.6 billion people live in countries and regions with absolute water scarcity. That number is expected to rise to 2.8 billion people by 2025. The CRS community is responding to the challenge Pope Francis issued in his 2015 encyclical on the environment and climate change. In “Laudato Si”, Pope Francis encourages people to be actively involved in leaving an inhabitable planet, as our duty to each other, but also to future generations. 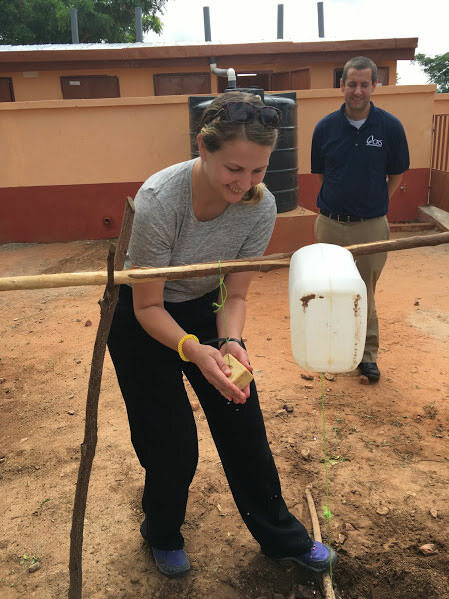 For Wilson and her students, the ability to experiment with different options for clean water and sustainable sanitation aligns with their Lasallian values and beliefs. “As an engineer, you’re always trying the right choice - the most efficient - and in this case, to make life a little bit easier for people,” Pulido said. We take clean water and basic sanitation for granted here, but elsewhere, it’s a struggle every day. The research we do can make a big impact. It’s been really rewarding so far. 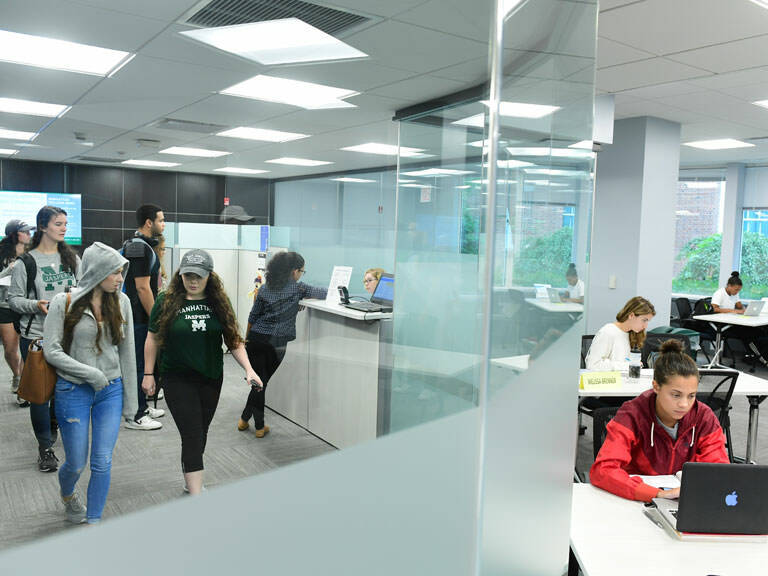 The students will continue working on the project throughout the semester, then complete a report and present their findings on campus at the end of the semester. 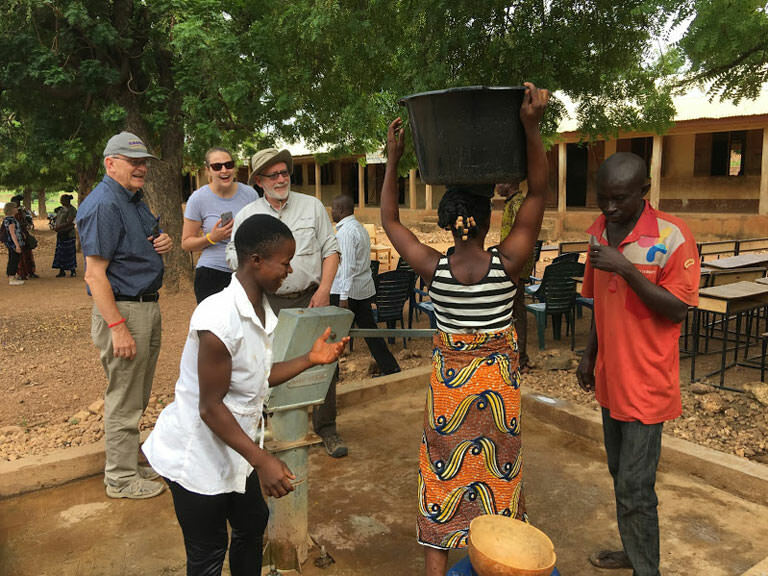 The experimental work on Ghana’s drinking water supply will also continue for Wilson, who made strong connections with her fellow CRS faculty members during the trip to Ghana.